In summer we charter our sailboat in Greece, between the islands of the Cyclades and we will be happy to welcome you on board our sailboat. Our cruises are customizable and suitable for couples, singles, families with children, groups and people of all ages. You do not need any sailing experience. During the charter we assure you the ultimate sailing experience and relaxation, good italian food and a willingness to share our way to sail and to enjoy the sea. We love to travel and go to sea since ever. We are not racers, but we like to glide over the waves and go fast. Living on a sailboat for us means staying in contact with the sea and nature. That’s why choose one of our sailing vacations. 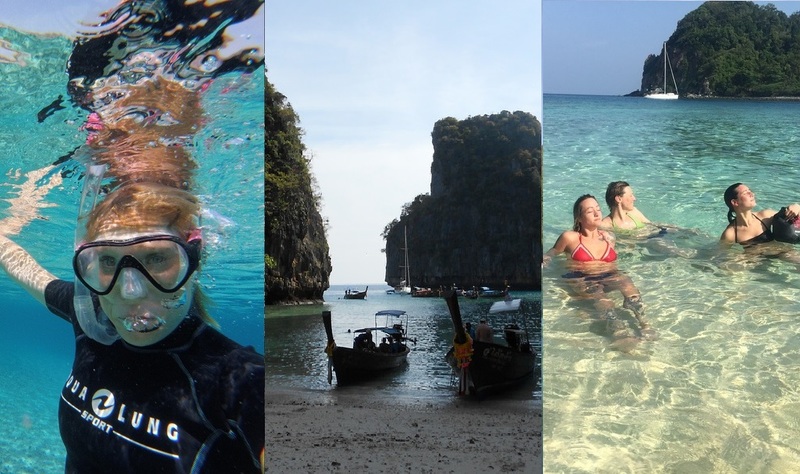 Swim in crystal clear water just awake! Savor an aperitif while watching the sunset! Eat good italian food looking the stars! Get down on the waves spurred by the Meltemi! Da maggio a settembre offriamo crociere in barca vela in Grecia nelle Cicladi e in Dodecanneso. In inverno le crociere sono ai Tropici. E’ possibile noleggiare l’intera barca o l’imbarco alla cabina. Noi ci occuperemo della cucina e di portarvi nei posti più belli dell’Egeo. 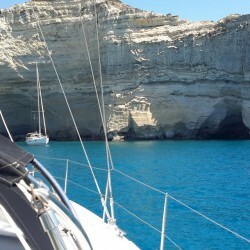 An easy and pleasant cruise among the islands of the Northern Cyclades. 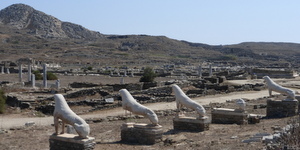 We will visit the islands of Paros, Serifos, Syros, Kythnos, Kea and Makronisos. 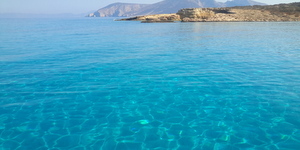 This sailboat charter departs from Lavrio,( Athens) , then we will have some fun sailing that will lead us in beautiful bays and to delightful Chora and small ports. Cruise among the most beautiful islands of the Aegean, the Small Cyclades. You can expect exciting sailing, white beaches and crystal clear waters characteristic white villages clinging to the mountains. Charter with some stretches of navigation a bit ‘more challenging as upwind. But we will touch the most beautiful islands of the Aegean.